JUST RELEASED - Everything is Up-to-date for 2017! Plus there are adavanced tips and tricks, and lots more that you won't find anywhere else! Perfect for all levels of Facebook and marketing experience - advanced, moderate, and absolute beginners!! Complete access to all the videos FOREVER! 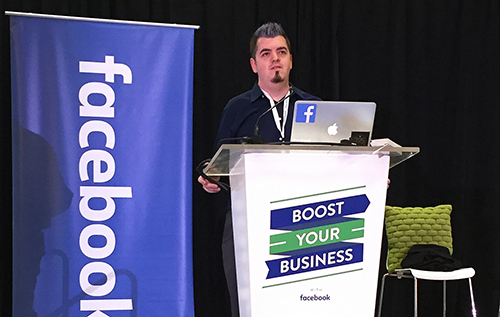 I have been teaching real estate agents and small business owners how to use Facebook to make their businesses for over 5 years. In that time I have taught hundreds or agents in the classroom, as well as consulting one-on-one crafting social media strategies. I know what works, and what doesn't! Facebook has quickly become the most important part of digital marketing today, and it has even changed quite a bit since its inception. The strategies that worked just a few years ago really don't work anymore. Given its importance, agents can't afford to ignore Facebook! All orders are processed through Stripe, a secure payment network. Your credit card information is never stored in any way. We respect your privacy. Already purchased the course? Click here for access.